A local politician has called for the speedy delivery of the long-awaited Laurencekirk junction upgrade. Liberal Democrat transport spokesperson and North East MSP Mike Rumbles has welcomed the launch of a public exhibition for the £24million flyover project and called on the Scottish Government to start work as soon as possible. A consultation was held in the Dickson Memorial Hall last Friday and a second public event will take place there on Friday, August 24. The planned improvements include a flyover to the south of the town with a bridge over the A90. Temporary safety measures were put in place in 2006, after a fatal accident at the junction but work was put on hold after a change of government in 2007. 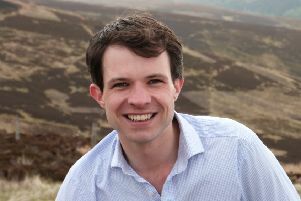 Local campaigners have been calling for the work to continue and last year Mr Rumbles received assurances from the then economy secretary Keith Brown that the upgrade would be delivered during this Parliament. Mr Rumbles said: “Local safety campaigners have waited for over a decade to see the upgrade for the junction. I’m pleased that the final plans have now been put forward, now I want to see shovels in the ground as soon as possible. 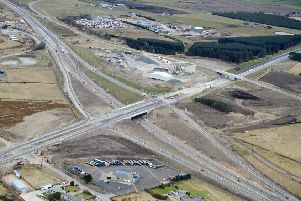 “A grade-separated road will be safer for all road users joining and passing the A90 junction at Laurencekirk, as well as reducing congestion around the adjoining roads.